News and tips from the industry leaders in email compliance. It’s amazing that in the digital marketing industry, Email Marketing is looked at as being old-school. It’s been around for 40+ years now, making it the elder statesman of the online marketing arena. But, email and really most forms of digital marketing (display, social, video, mobile, etc.) are built on the principles of direct marketing, which go back a lot further than the 1970s (when email marketing came to be). Direct marketing (at scale) largely began in 1872, with the first Montgomery Ward catalog. That makes direct mail almost 150 years old. (Email doesn’t seem quite so old-school anymore does it!) Like any marketing channel, direct mail has evolved dramatically over that time period, incorporating technology around audience targeting, automation, personalization, higher resolution graphics, performance tracking, etc. If that list seems familiar, it’s because various digital channels continue to evolve around some of the same areas. Clearly there are many differences between direct mail and digital advertising, but all direct marketing channels share a number of common elements. Sometimes digital marketers like to think that performance based marketing was more or less invented on the Internet. Maybe more accurately, they sometimes think that ‘traditional’ marketing is so very antiquated that it has little to offer digital marketers and the challenges they face in optimizing campaigns and driving results. 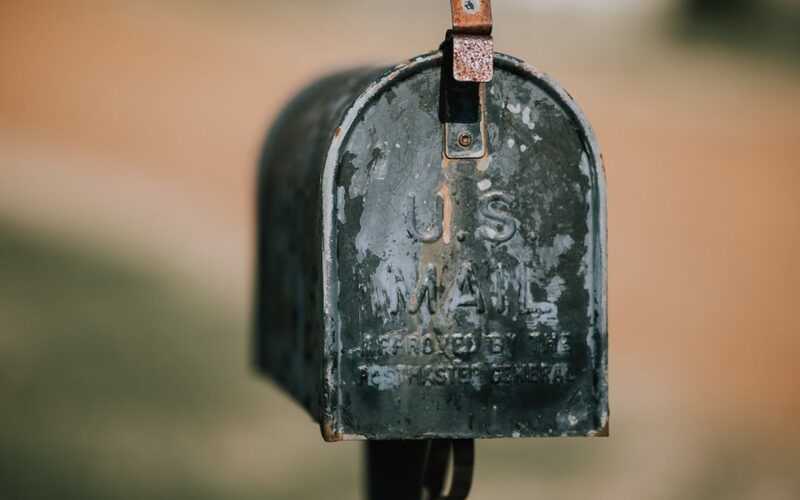 However, many of the tactics and lessons that direct mail marketers have learned over the decades can be easily be applied to different digital channels. Every type of advertising has at least one challenge in common – the need to catch the attention of the intended audience. A direct mail campaign competes for attention with every other piece of physical mail in the recipient’s mailbox, plus the intended recipient may not even be the person who the mail is addressed to (since the avg. household in the U.S. has 2.58 people). Some mail gets looked at immediately, but it is just as likely to be tossed on the kitchen counter and left there until later. So, how does a direct mail marketing try to catch that recipient’s attention? By focusing on Design, Offer, Timing, and Frequency, to name a few tactics. A design might be bold or on an oversized mailer to grab attention, or it might be a plain envelope with no information on it, which could entice the recipient to open it out of curiosity. There might be a big Special Offer! callout. The mailer may try to time the delivery date based on some other info they know about the recipient (they just went car shopping or stopped in at a home builder’s site) that indicates they are in market. Maybe the mailing is going out on a regular basis, just to improve the odds a recipient will see and open it. The point is that these tactics are very similar to the ways digital marketers try to capture their audience’s attention in an email, display ad, etc. Real-time, programmatic audience targeting may have come about due to the nature of digital marketing, but the idea of using list segmentation to target an audience has been a staple of direct mail for many decades. With any marketing channel, one goal is to keep costs down, while maintaining overall performance (sales). One way to control costs is to make sure you are only sending marketing messages (email, postcards, banner ads, mobile ads, etc.) to people who are likely to respond. There’s probably little point in sending automobile marketing to someone who just bought a new car. Once that kind of information is available, it can be used to target direct marketing campaigns toward (or away) from a particular audience. For years, direct mail marketers have purchased or rented data to augment the information they already have on customers and prospects, with an eye toward exactly this kind of targeting. Digital marketing has taken advantage of the explosion in available data to make ads more relevant to specific audiences, building on the strategies developed by offline direct marketers. One of the greatest benefits of direct marketing has always been the ability to attribute results (sales, leads, etc.) back to a particular marketing effort, which can lead to determining a reasonably accurate return on investment (ROI) for the campaign. There’s an old marketing quote that says “I know half the money I spend on advertising is wasted; the trouble is I don’t know which half.” This is a challenge that direct marketing initially set out to overcome. By including trackable response elements like mail-in order forms, customized 1-800 numbers, and various coupons or special offer codes, direct mailers were able to more accurately track a sale back to a particular mailing. Today, many marketers can not only track performance across numerous channels, but they can also take a more holistic view toward attribution – not giving all the credit for an order to the last click, email sent, or direct mail piece. Instead, they look to distribute the attribution across multiple marketing touch points. But, the entire idea of being able to track performance from marketing initiative to completed sale comes directly from direct mail. Certainly not every aspect of an industry like direct mail is applicable to the digital arena, but online marketers would do well to look recognize the part that offline direct marketers played in setting the foundation for today’s marketing and advertising industry.